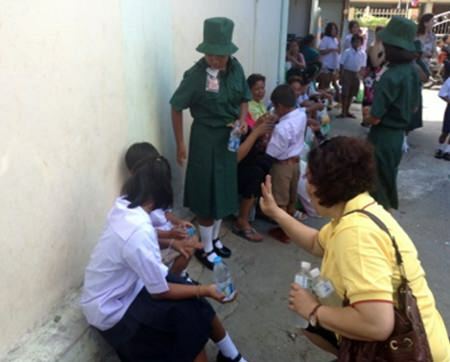 For the last seven years Pattaya International Ladies Club (PILC) have been sponsoring 40/50 underprivileged children by buying them their school uniforms. It’s that time of year again for Noi from the Kate’s project to coordinate with the families to meet us at the shop. 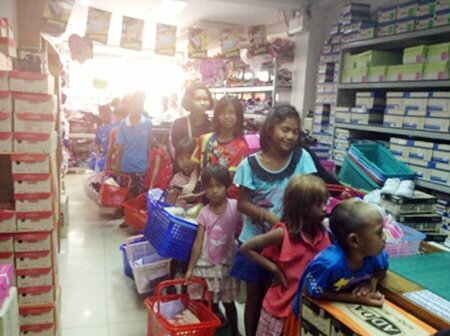 Allison Lutton, Helle Rantsen and Joyce Aldrige from PILC met at the uniforms shop and watched the joy and pride on the children’s faces as they tried on the uniforms. For some of the children the most important part took a while, “choosing their school bag”. 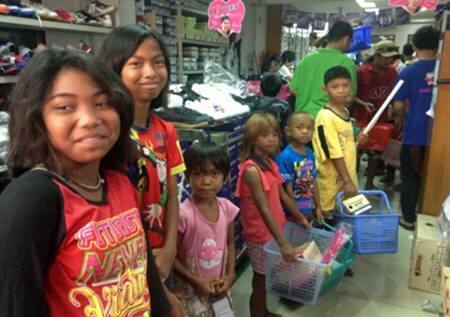 This year Steven and Gina Harris (from England) contacted PILC President Helle Ranson because they wanted to help families here in Thailand but they were not sure how they could help. Helle invited them to join us at the uniform shop and see what goes on and what we (PILC) are all about. Steve and Gina were overwhelmed by all the children and their beautiful little faces. 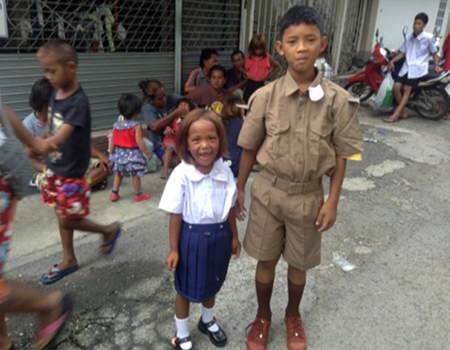 They decided to donate 20,000 baht towards the cost of the uniforms as well as visiting other organisations that PILC are involved in. Gina and Steven again donated a generous amount to our projects. They mainly wanted to be involved with the education of children to prepare them for a better future. Without the help of people like Steven and Gina Harris and many other people’s kindness and generosity many of our projects would be struggling to survive. Pattaya International Ladies Club have their main fundraising every year, this year it’s in the Holiday Inn on Beach Road on the 23rd November, so why not book this date in your diary and come along with your family and friends and make a day of it.